From December 2015 till March 2017 I will be in Antarctica, working for British Antarctic Survey at the Halley Research Station, located on the Brunt Ice Shelf. Antarctica366 is my personal photography project whose goal is to produce one image every day of the year between 1 January and 31 December 2016 (which is a leap year - hence 366), and through which I'm going to try to record a snapshot of my everyday life down South. The panorama, stitched from 12 individual images, of the Halley VI modules as seen from South East on a very sunny and quiet evening. The temperature outside was -11°C and there was very little wind. This is home for the next 15 months. 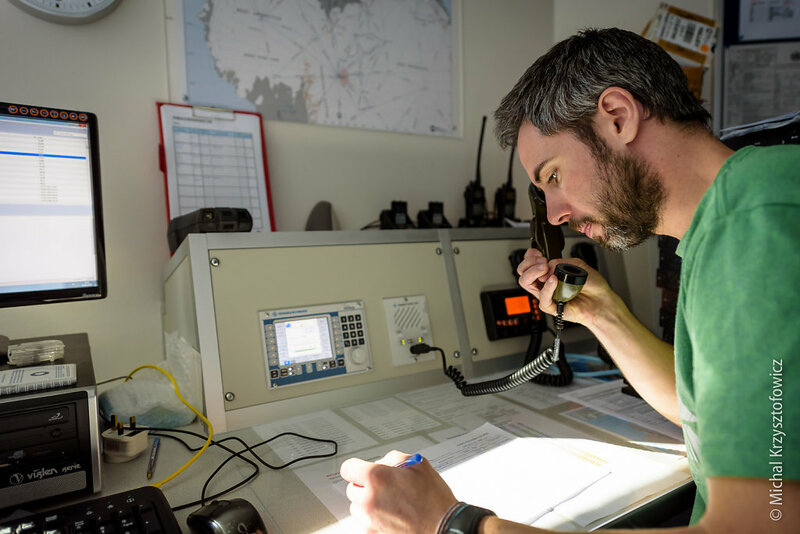 Every Saturday throughout the whole Summer Season at Halley, the Winterers go through various training drills: First Aid, Major Incident Plan, Oil Spill, etc. 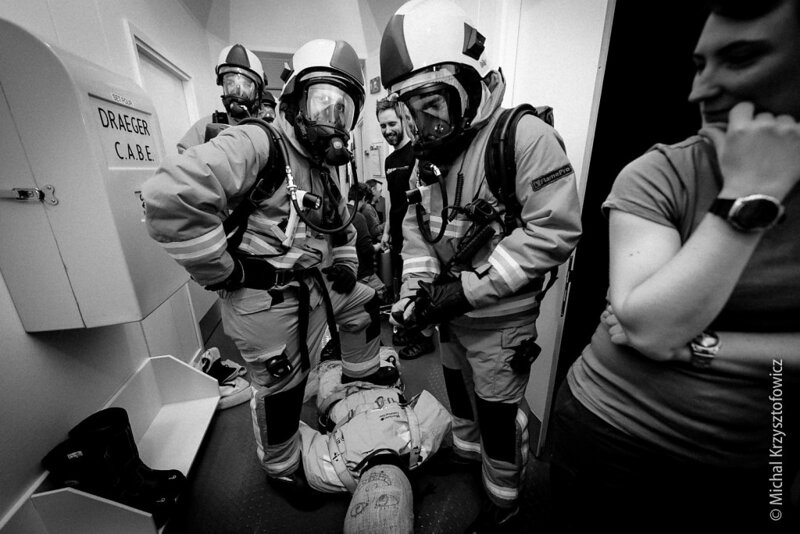 Today we had the Breathing Apparatus drill. 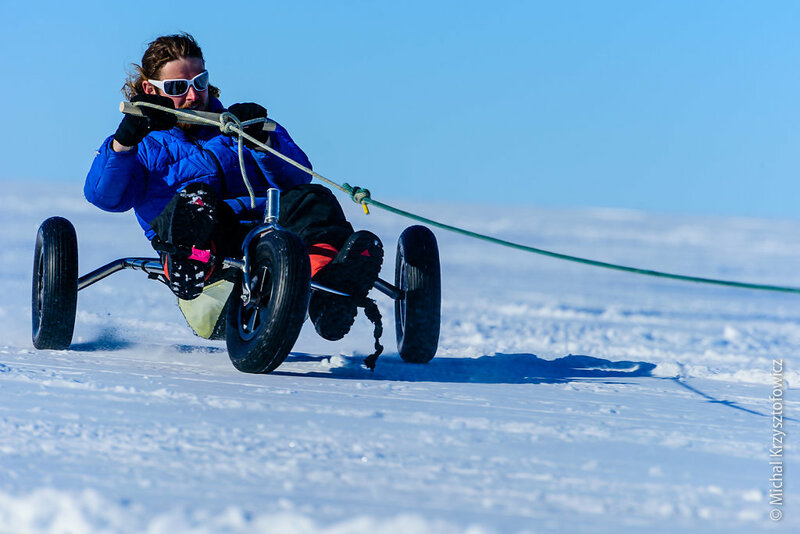 Skijoring in Antarctic parlance is an act of being towed on skis, snowboard or, as is in the example above, in a buggy that typically is used with a kite. The area around the Halley Station is a completely flat surface. Mixed with the right weather conditions, the right toys and the right attitudes they all make up for a good source of entertainment on a day off! Summer season at Halley is when most of the field activities take place. Some of the sites we go to are very remote and far away from the station and the primary means of reaching those is by aircraft. Here, the Halley Communications Manager is talking to the BAS Twin Otter on the HF Radio shortly after take off at Theron Mountains en route to a field site further South. 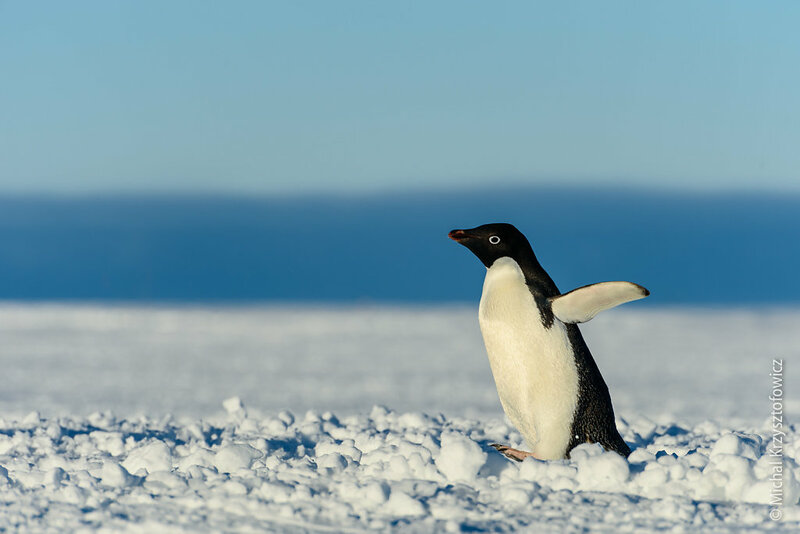 Once or twice during the summer season, a small number of Adelie Penguins come over to visit the Halley Station. The Adelie penguins, named after Adelie Land, which in turn was named after the wife of French polar explorer Jules Durmont D'Urville, are the funniest and the best of all penguins in Antarctica: inquisitive, interactive and very lively. One of many Halley traditions is for the Wintering Team to put their picture on the Wall of Fame. The wall is in the corridor of the Big Red Module (the A Module), where the dining room, kitchen, bar, TV room and the Gym are located and which is the centre of all social life on base. 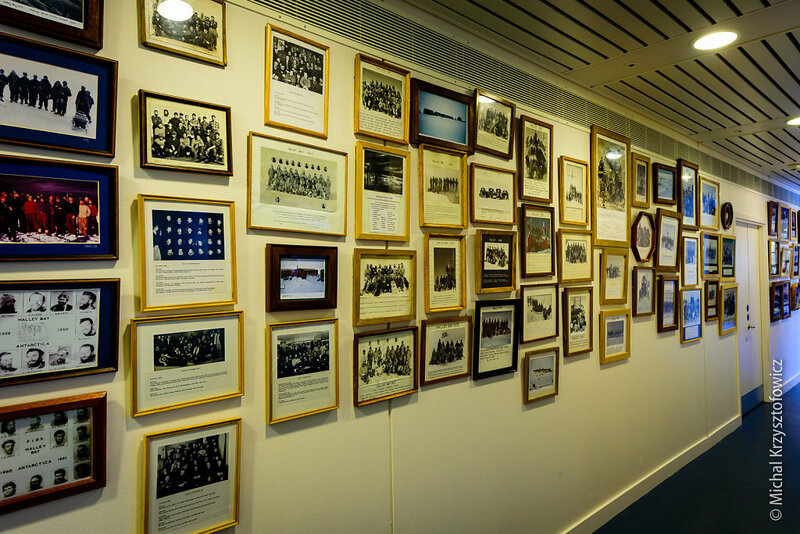 There are pictures of every team which has ever wintered here, you can see a face of every single person who has ever spent a winter season here, since the base was established in 1956. 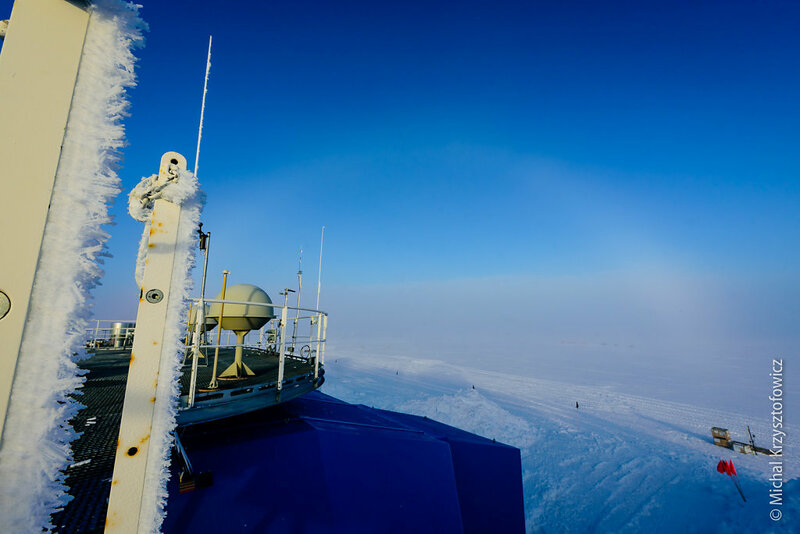 The current winter, which is about to start in just a couple of months, is a little special as well, as it's the 60th anniversary of Halley Bay station. 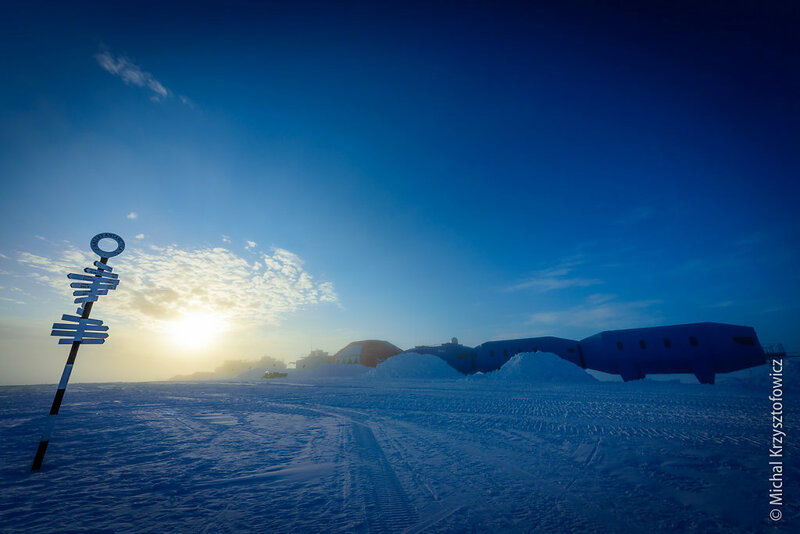 Looking as if straight from a Science Fiction movie, Halley Research station, in its 6th iteration, will be home for thirteen members of the Wintering Team. The station consists of eight modules, each supported on hydraulic legs fitted with skis which assist in annual station raise to keep the building above the snow accumulation. The skis allow the station to be relocated to a new site; once already used during the construction season to bring the modules from the old Halley V site to the current one, the system will be relied upon again next summer to move the station to a new location. 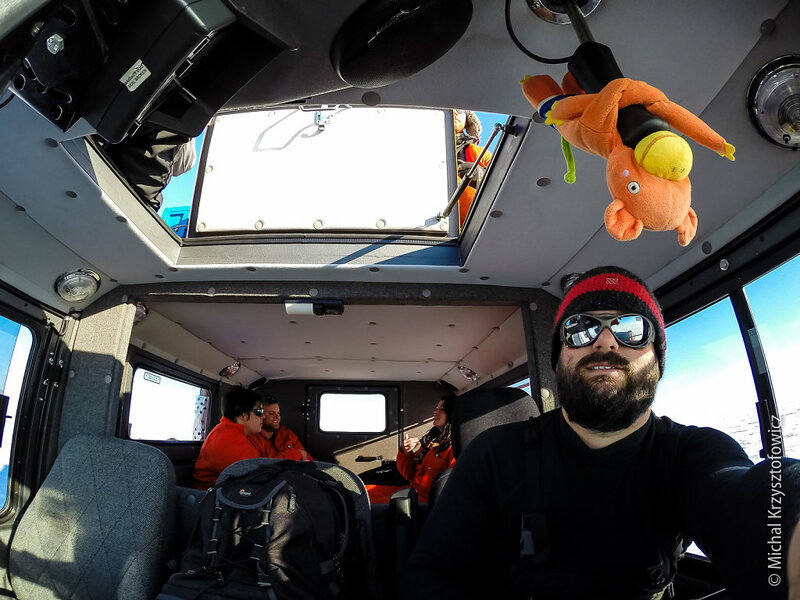 During the Summer Season the Wintering team members go to the Creeks area, located on the coast North of the Halley Station, for a weekend training trip, in a SnoCat vehicle. The team carries everything they need for the weekend: tents, sleeping systems, warm clothing, food, fuel and mountaineering equipment. All of these will be put to a good use, practicing campcraft, survival in the field and crevasse rescue. Halley Station is situated on the Brunt Ice Shelf, which is a thick platform of ice, floating on the surface of the Southern Ocean, and which is formed by the glacier (or ice sheet) flowing off the continent onto the ocean. 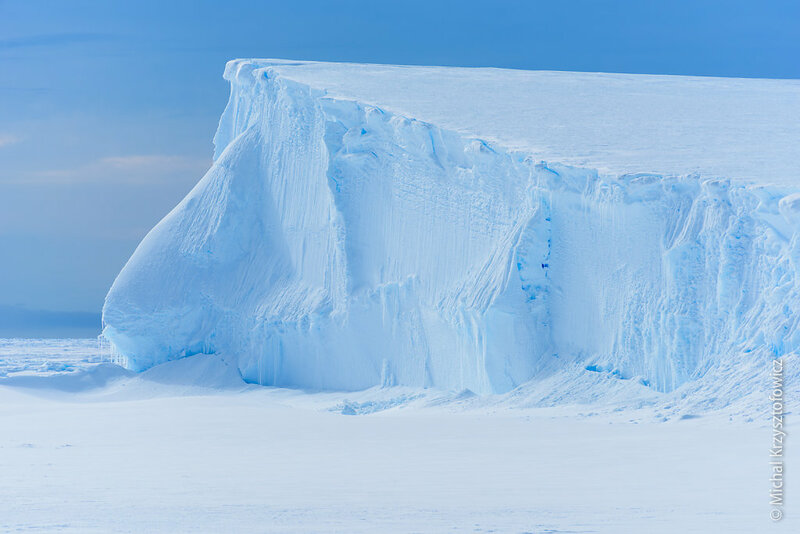 This section of the Brunt Ice Shelf is about 30m high above the sea level, however it's total thickness, including the submerged part, can be in excess of 150m. In the picture, a head of the Ice Shelf is seen where it meets the Sea Ice. In contrast to the Ice Sheet or Ice Shelf, Sea Ice is a frozen sea water and is relatively thin, with the maximum thickness around 4-5m around this area in Winter. After a day of practicing roped travel, setting up anchors and crevasse rescues, we took the opportunity to do some ice climbing on the cliffs of the ice shelf. 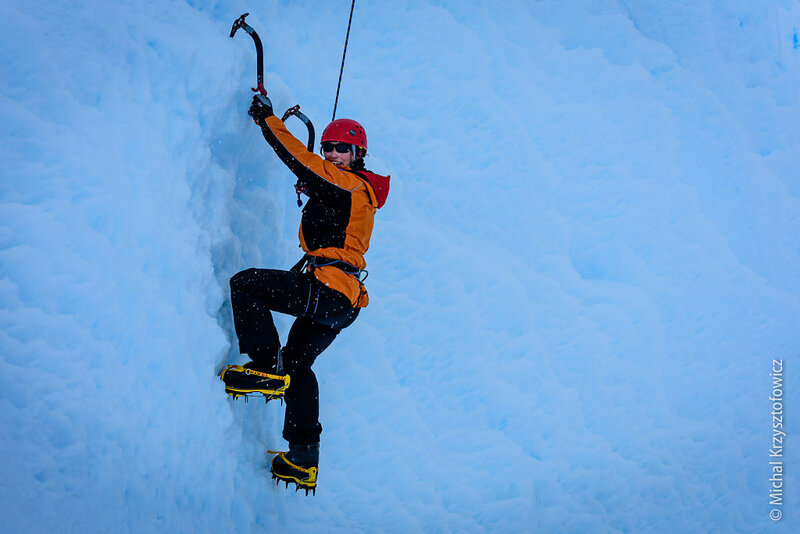 In the picture, Halley Atmospheric Scientist enjoys her first ever ice climbing experience. 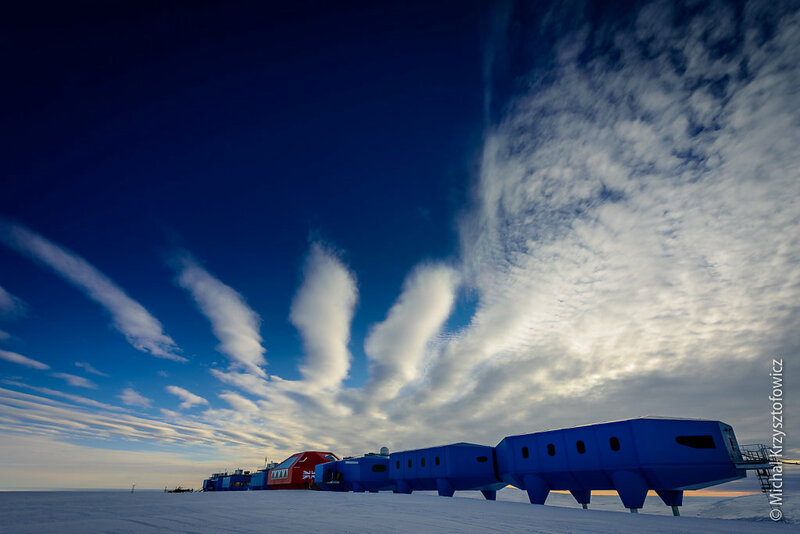 Once in a while, on a clear, sunny day, a bank of fog might roll over the Halley Station. The layer of fog quite often is very thin, only a couple to 20-30 meters above the ground - thin enough for one to still be able to see the sky and sometimes even cloud through. One of the Wintering Team members is the Halley Mechanical Services Technician. 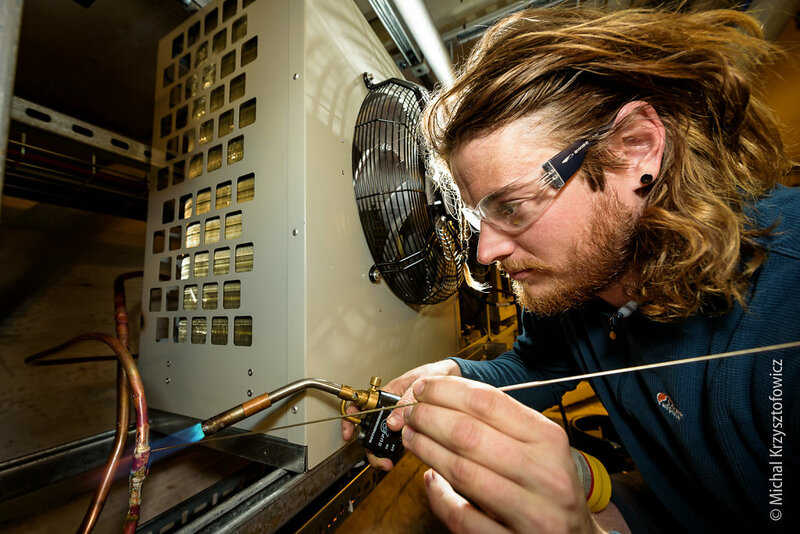 Being a part of the Tech Services Team, who are responsible for technical maintenance of the station facilities, his job is to maintain all the hydraulics, plumbing, gas and similar systems, of which there are many on base. A fog bow is a similar phenomenon to a rainbow, however, as the name suggests, it appears in the fog rather than rain. Because water droplets in the fog are significantly smaller than in rain, the fog bow produces less colour - it can be slightly reddish on the top and bluish on the inside, or completely white. In addition to the fog bow, the rime frost can be seen on the guard rails on the left of the picture. The rime frost is created when supercooled water droplets moving with the air mass hit a vertical surface and immediately freeze, building up in time, always on the windward side. Every year the area of the Brunt Ice Shelf where Halley Station is located gets roughly 2.5m of snow accumulation. Most of that is due to drifting or blowing snow and only part of the accumulation is caused by snow fall. Because of the accumulation, everything has to be dug out and raised each summer. All the digging and raising takes a significant part of the time and effort during the summer. 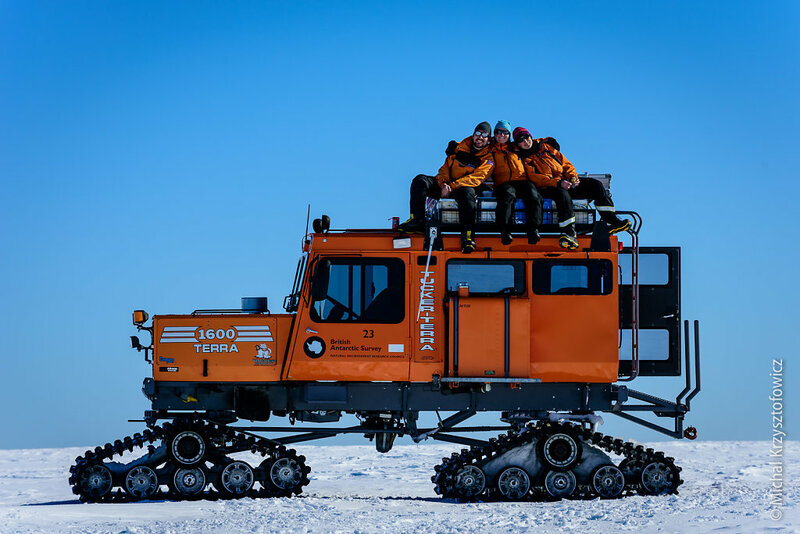 Pictured here is the small team, resting on top of the SnoCat after a couple of hours of manual digging to raise the Automatic Weather Station located at the coast of the Brunt Ice Shelf, at Windy Bay. Even though summer days are very busy with work, we're also taking part in lots of recreational activities, which we are all encouraged to do. One of those, which can easily be done around the base perimeter, is kiting (as well as kite skiing and kite boarding). 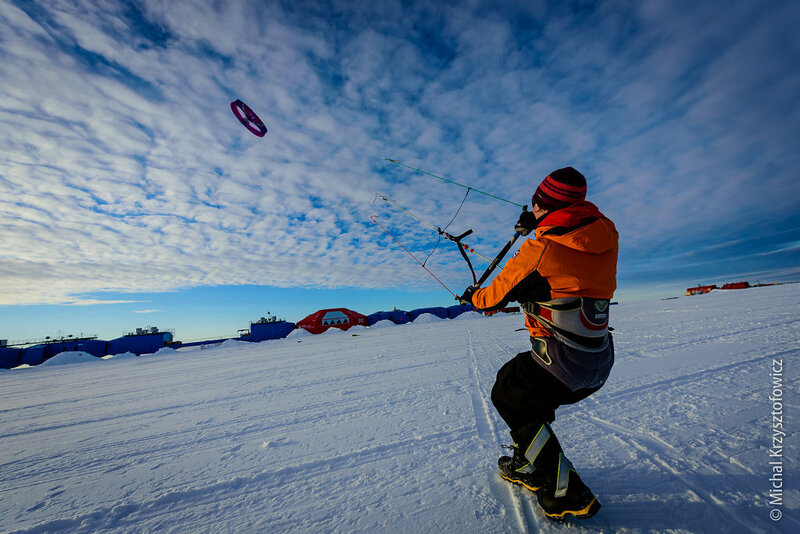 In the picture, the Hally Atmospheric Scientist practices flying the kite before taking the next step and clipping on skis.